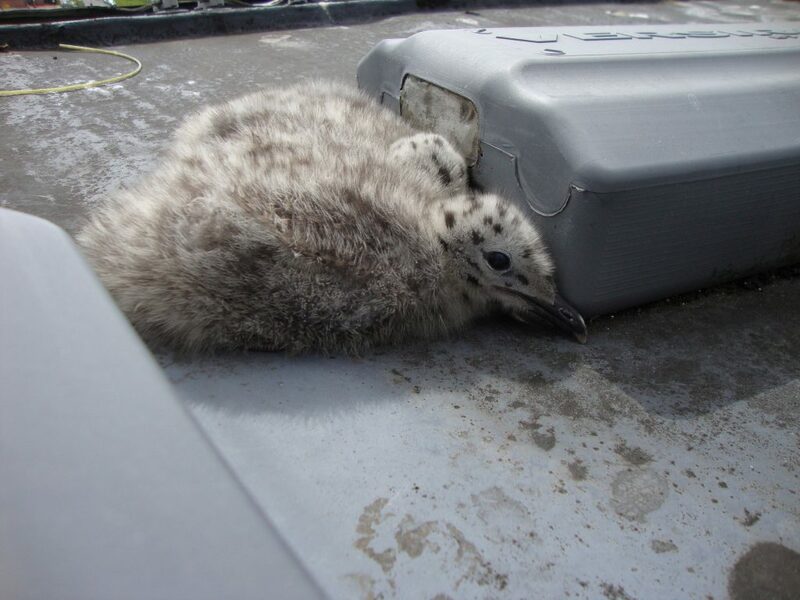 We went back to Greenock Police Station this week to see how the chicks were getting on. We had noticed previously that 9P5:C’s nest, which was in a drainage channel, had been moved by all the heavy rainfall and there was no sign of the chicks. The chicks can be very mobile and the behaviour from 9P5:C suggested they chicks were still about. We spotted them this week. It looks like two of them have survived so far and they blend really well into the roof.